Once a couple has decided to divorce, one of most important challenges they face is deciding how to continue to parent together even though they will be living apart. But how, exactly, can they share parenting duties after a divorce? No single approach works best for all families, and reaching an arrangement that benefits the children first and foremost should be the goal of all involved. In the past, many custody arrangements have resulted in children living mainly with one parent (often the mother) and “visiting” the other parent one night a week and every other weekend. However, this can lead to the devolution of the role of the noncustodial parent (typically the father) into a “visitor” role, and many experts agree that can be harmful to children who benefit from active, engaged parents. An experienced child custody and divorce attorney can help families work out arrangements that most benefit that individual family. Keep in mind, too, that children are not static; they are continuously developing, so a one-time solution will not be suitable for their entire childhood. A custody agreement outlined when a child is 4 years old may not be suitable for children by the time they become teenagers. It is important to remain flexible and be willing to evolve the relationships along with the children’s growth. Regardless of what kind of “time-sharing” agreement parents reach, one factor remains critical for all: parents should never involve the children in their own conflicts, whether about their own relationship or about parenting duties. Disagreements and discussions, from who picks up the kids after soccer to where they spend Thanksgiving, should be worked out between the parents, and not shared with the children. 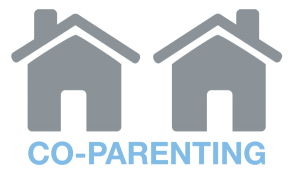 For more ideas and advice on working out a co-parenting agreement, see this article from the American Bar Association.